Belt Creek is truly a hidden gem in central Montana. While called a creek, it is larger than some rivers, and allows for floating sections of it during the higher water times of May and into July some years. And the absolute pinnacle of Belt Creek is the Sluice Box Canyon section that flows through the Sluice Box State Park. This 8 mile stretch is a beautiful limestone canyon with sheer cliff walls rising up hundreds of feet. With many natural obstacles including rapids, tight turns, boulders, and the rare downed tree, along the way, as well as the many man made remnants from old railroad bridges, some of which can rip open a raft, floating this challenging section of river is not for the faint hearted. 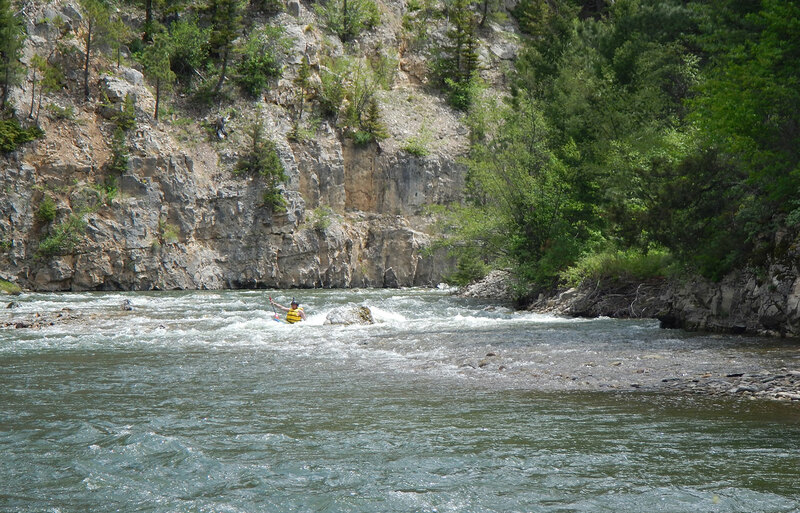 While not huge white water, there are many small to mid-sized rapids, and the entire 8 miles is a very busy river with constant maneuvering. 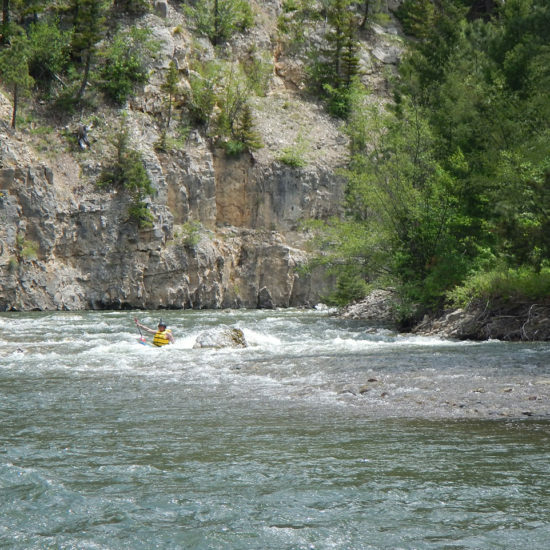 However, it is well worth it, as it is just drop dead gorgeous, with towering limestone cliff walls, deep pools, and fast boulder strewn runs that hold lots of hard fighting rainbow and brown trout. Plus being able to visit the remains of the ghost town of Albright is worth the trip itself. Every aspect of this trip is a rare and wonderful treat. The water, the fishing, the history, the scenery are all absolutely stunning, along this intimate and rarely experienced river journey.